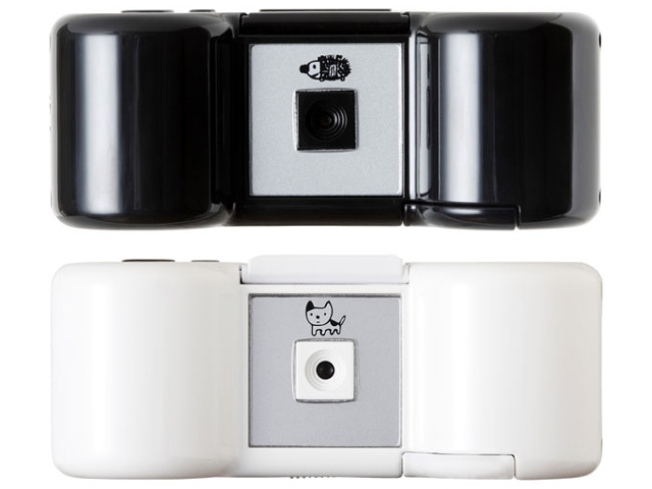 SuperHeadz cameras: So cute, we'll even forgive that 'z' in the name. I SPY: We pretty much sold our souls to Sanrio in the fifth grade, so these digital cameras from SuperHeadz -- with their Lilliputian size and aggressive Japanese cuteness – have our number. The 2MP black Harinezumi and white Buchineko measure three-and-a-half inches long and just about an inch high, and take super-saturated stills and up to two hours of video. And just look at that porcupine! $170 at the ICP Store, 1133 6th Avenue; 212-857-9725. PASS THE CHEESE: Your whole life has been leading up to this: The day when “Behind the Bell” (Transit, $25), Dustin Diamond’s tell-all about his “nightmare” years playing Screech on the late ’80s teen crack-com“Saved by the Bell,” hits shelves. Thrill! to dirt about his co-stars. Weep! as Diamond lays bare his battle to move beyond uber-nerd typecasting. Wonder! why Gotham, the original publisher, dropped Diamond’s memoir like a hot potato. Housing Works Bookstore Café, 126 Crosby Street; 212-334-3324. IN THE PINK: Starting today and running throughout October, the 5th Annual Pretty in Pink Month does two things: It drops prices on some of your can’t-live-without treatments at spas all over town to a flat rate of $31 (for 31 days, see) and channels 100% of the proceeds to Bright Pink, the non-profit dedicated to breast cancer education and awareness. That means $75 facials, $200 laser hair removal and $300 glycolic peels are all $31. Head here for participating spas and treatments being offered.